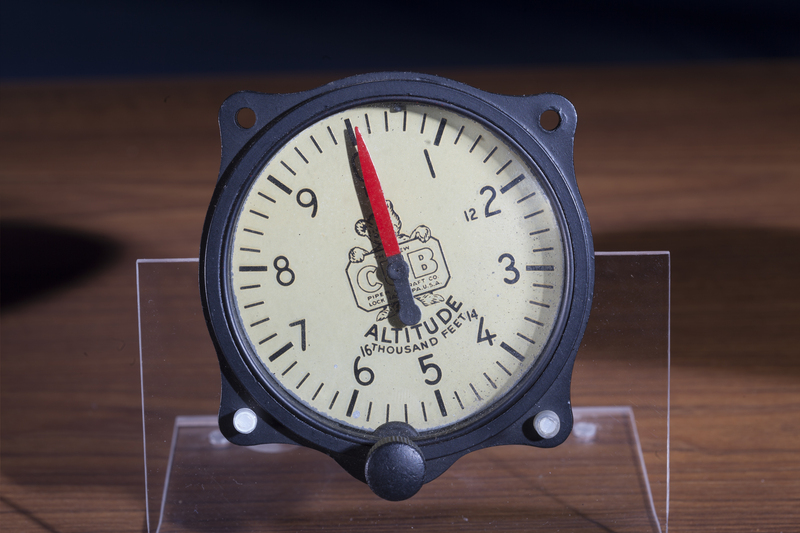 This altimeter (a barometer that indicates altitude) displays the Piper Cub’s famous logo. Photo by Eric Long, Smithsonian National Air and Space Museum (NASM 2014-04800). Find out more about Piper Cub Altimeter.